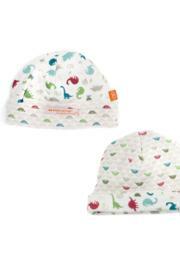 Completely reversible hat coordinates with matching prints and is the perfect little accessory! Keeps your little one covered and comfy! Reversible for 2 looks in 1100% soft & gentle natural cottonMachine washPairs perfectly with other items in this collectionA baby shower gift your friends will love!